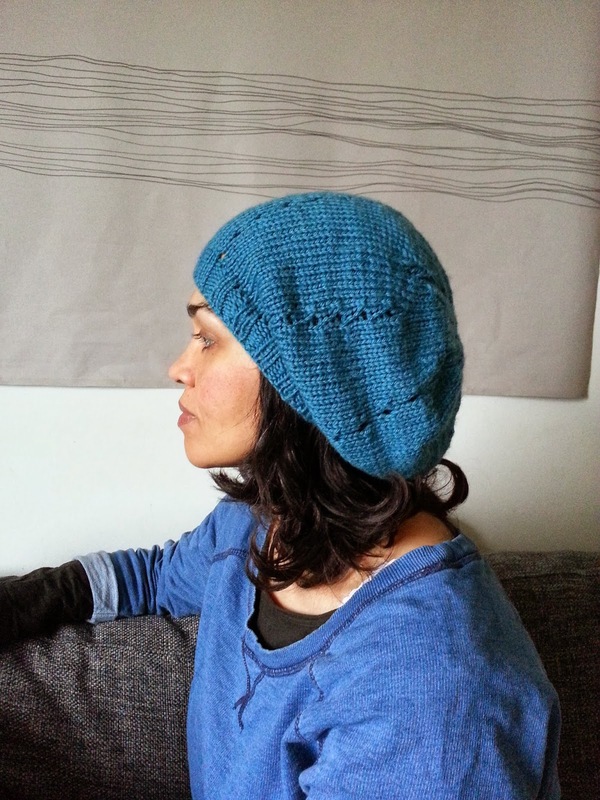 I used King Cole Merino Blend Aran for the teal coloured hat. I had two 50g balls and was left with less than 10g of it. 4mm DPNs or 100cm plus long circular needle for magic loop. Join work and K1, P1 rib for 4cm. Switch to 5mm needles. Place marker. The next few rows will increase the amount of stitches from 80 to 104 stitches. [*K2tog, K11, YO. Repeat from * to marker. Switch to DPNs (or a 100cm cable for magic loop) when necessary. *SSK. K3 repeat from * to marker. *SSK. K2 . Repeat from * to marker. As shown in the white hat image, not tail/point. *SSK. Repeat from * until 12 stitches are left. 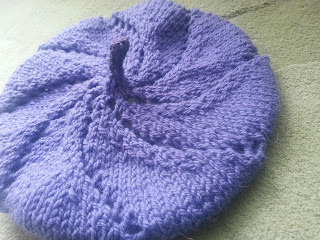 Cut yarn, leaving a 25/30cm tail. Thread the loose end onto a darning/tapestry needle. Beginning with the next stitch you would knit, thread the tail through all the stitches and remove the knitting needles. Pull the tail tight to close up the hole. Sew through to the inside of the hat and sew/weave in the loose end. This finishing technique is demonstrated beautifully in this video by Judy Graham. 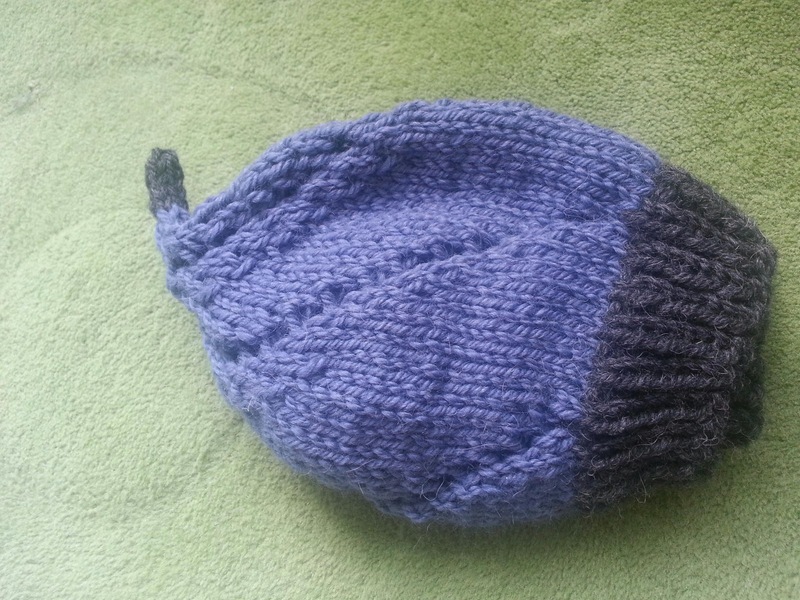 As shown in the blue hat image with tail/point. *SSK. Repeat from * until 4 stitches are left. Knit these 4 stitches as an i-cord until it measures the desired length (2-4cms). 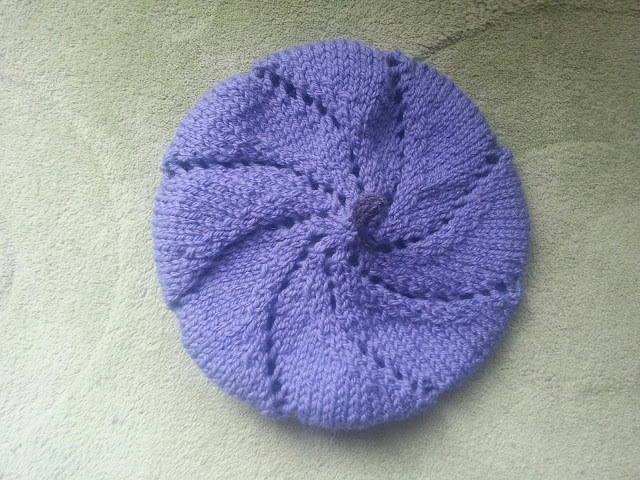 Cast off the i-cord, as you would cast off any knitting. Cut the yarn. leaving a 25cm tail. Sew the end of the tail into the top of the icord. I love this pattern so I'm going to start knitting this up but I'm wondering how much yardage is needed? Good question! I will amend the pattern. I can say that I had two, 50g balls of King Cole Merino Blend Aran, and I didn't use up all of it. I'll work it out and post it later today.